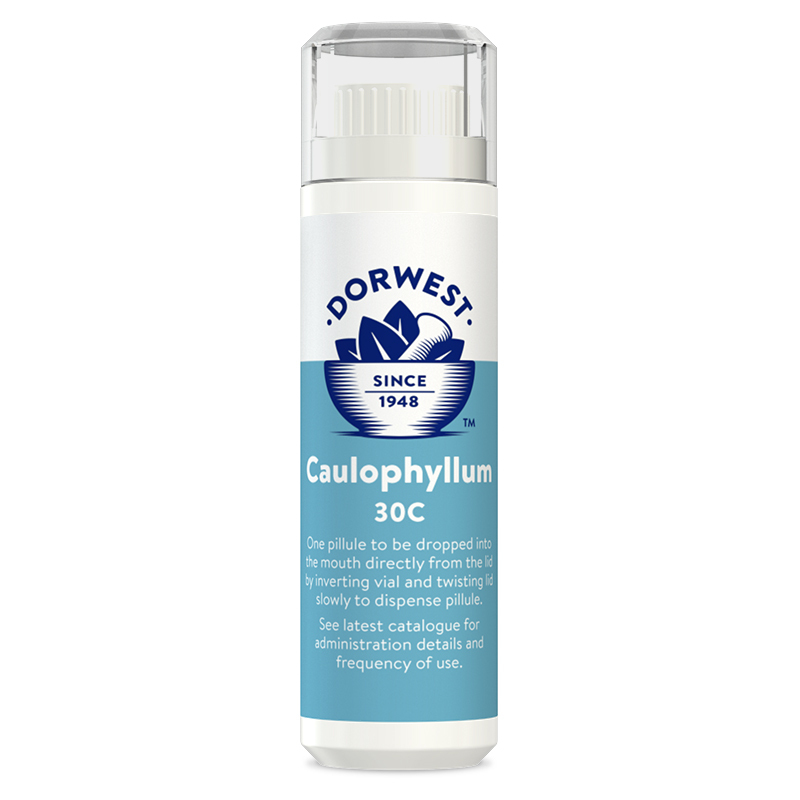 Dorwest Homeopathic range includes Caulophyllum 30C, given to aid contractions, delivery and the birth process. There is also Urtica Urens 3C, given to decrease milk flow in lactating females. Caulophyllum 30C - Give one every hour as soon as contractions begin. Continue until delivery is completed. Urtica Urens 3C - Give one every 2 hours for the first 12 hours, then reduce to one 3 times daily until symptoms are relieved. There are currently no questions for Dorwest Homeopathic Breeding Remedies - be the first to ask one!